The term ‘melting pot’ gets thrown around a lot to describe the diversity of countries and cities, but with its multicultural cache, endless eclecticism, variety of spoken languages and welcoming atmosphere, Buenos Aires can rightly lay claim to the title. The capital of Argentina and the country’s most populous city, Buenos Aires was formed in 1580. Since then, it’s gained independence, experienced an accelerated industrial revolution from 1870 to 1914, hosted the World Cup Final and gained alpha city status owing to a flourishing economy. As for right now, Buenos Aires is a city without comparison. Bustling with energy, life and undeniably seductive quality, there’s never a dull moment here. Buoyed by proud traditions of football, tango and mate, the locals’ favourite drink, Buenos Aires’ mix of culture, architecture and delicious food proves irresistible to everyone who steps foot here. Take a look at our whistle stop guide to the city that takes in its best attractions, how to get around and where you’ll find the best food and drink fixes. Getting around Buenos Aires is a breeze. Bolstered by a large, efficient public transport network that includes a regiment of taxis, trains, buses, free bikes, and an underground transit system, there’s plenty of different ways to explore the city at your comfort. Don’t forget, the energy of the city’s barrios (the local neighbourhoods) mean they’re well worth seeing the sights by foot, especially since more of its central streets have become pedestrianised, and there are loads of guided walking tours if you’re looking for some instant highlights. Before you travel by bus or subte (underground rail network), you’ll need to get a rechargeable SUBE travel card. Available at subte stations, any of the eight Tourist Assistance Centres and the majority of kiosks dotted around the city. Once charged with credit, you can get around by bus and subte. 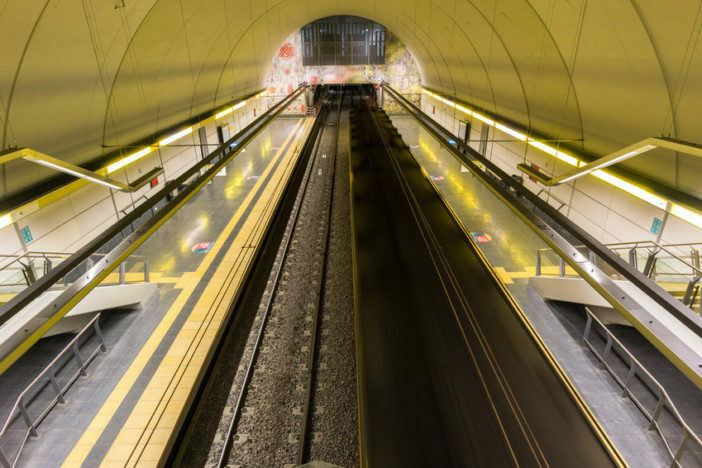 With frequent running trains, the subte is often the quickest way to get around the city. Download the detailed network map, get your SUBE card and you’re good to go in a matter of minutes. Cheap and efficient, the buses in Buenos Aires are great because, much like the city, they never sleep. Running 24 hours every day of the year, the multitude of stops means you won’t have to walk far to find them. Fares are super cheap – just tell the driver the name of the crossroad where you want to go, and they’ll tell you the correct fare. For areas a little further afield, the train takes you to neighbourhoods away from the centre. Tickets can be purchased from the station or you can use your SUBE card to pay as well. If the libre (available) sign is lit up on one of the many, many black and yellow taxis in the city, then just flag one down from the right-hand side of the street and you’ll be going from A to B in no time. 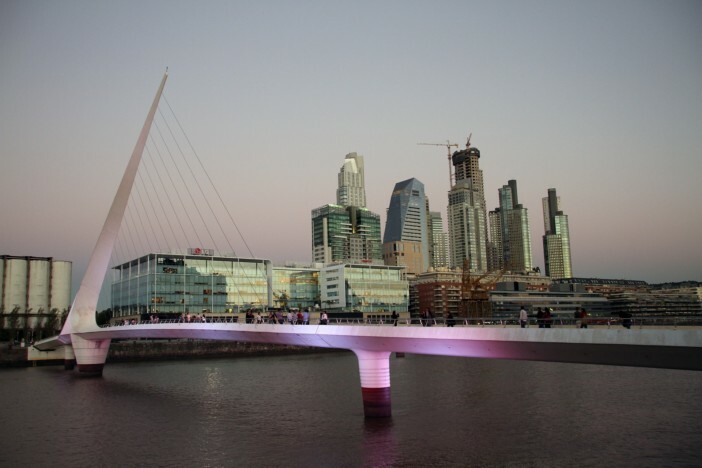 Whether you’re in Buenos Aires for a few hours, or a couple of weeks, there’s so much to do in this enigmatic capital city. Reopened after a lengthy refurbishment, the Centro Cultural Kirchner is Buenos Aires in a nutshell, or rather, in eight floors and 88,000 cubic metres of floor space. 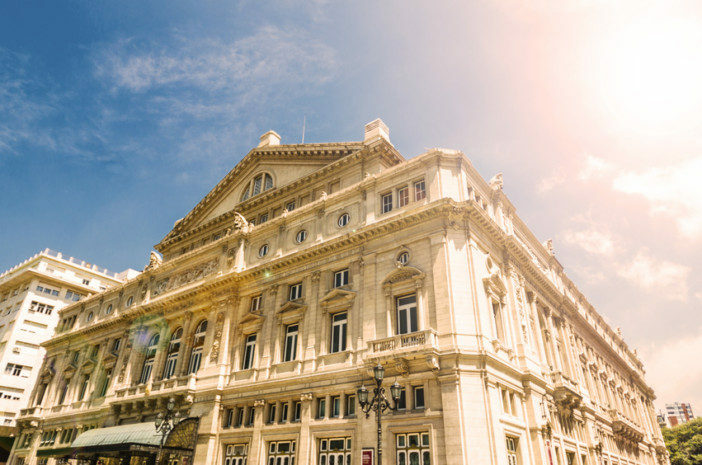 With free entry, it’s well worth your time, since it makes up so much of what the city is about: stunning Beaux-Arts style architecture, opera recitals, and exhibits of local artists to feast on. With 10,000 patrons a day, it’s a popular place too. As the city’s former minister of culture, Teresa Parodi, once said: “we consider culture to be a right”. In Buenos Aires, art belongs to the people. Located in a former tobacco factory, the Museo de Arte Moderno de Buenos Aires (Mamba for short)’s collection previously travelled the city, setting up shop in temporary locations. In 2010, it began its permanent residence, and celebrated its 60th anniversary in 2016. Home to paintings and installations by a variety of contemporary artists over two floors, the price of admission will set you back just a few pesos so definitely give it a go while you’re there. Perhaps the city’s most famous export, the tango is a sultry little dance that’s brimming with passion and vigour. Take in the fevered feats and impressive athleticism of the plentiful tango shows or follow in the steps of Strictly Come Dancing and treat your feet to a dance class while you’re there. Be warned: it’s strangely addictive. Considered Argentina’s culinary capital, Buenos Aires is fiercely proud of its own heritage and yet quick to adopt and adapt popular fare from other countries. While the traditional steakhouse or parrilla still have dominion here, over the years varied influences have crept in too. Gourmet grazers are in for something special here. For the traditionalist who likes things with a twist, this centuries-old eatery was just recently saved from demolition. Why anyone would want to get rid of a place serving wild boar that’s been slowly roasted for 14 hours in the city’s largest clay over is anyone’s guess. House wine flows with ease, while those in the know are welcomed to a hidden patio bar, just ask for the password and you’ll be free to join them, too. When it comes to parrilla, there’s almost too much choice, but this iconic steakhouse in Palermo is among the city’s finest. Provoleta – grilled cheese that’s crisp on the outside and oozing with indulgence on the inside – always proves irresistible, but the house special of sirloin is simply unreal. Cooked by the asador – the grill master, you know you’re in safe hands here. On just about every street corner you can find ice cream stalls, and the stuff they serve in Buenos Aires is unlike anything in the UK. Akin to traditional Italian recipes, Spanish helado is simply a must-try while you’re here. 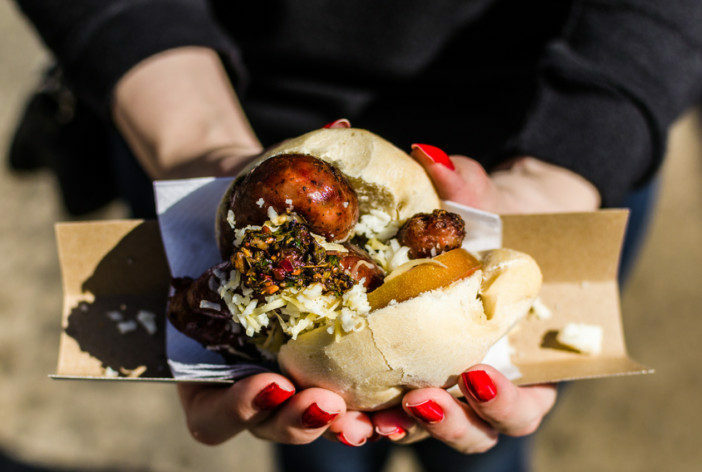 Meanwhile, choripán is a street meat classic consisting of butterflied chorizo sausage, stuffed between crusty bread and finished with chimichurri sauce. For a local favourite, try the sandwich from Parrilla de Freddy, a no-frills eatery beloved by the locals. For the feel of clandestine, ultra-secret drinking, the prohibition-themed Harrison Speakeasy is totally unique, but its password-only entry makes it tough to get in. Another trip into the past, and one much easier to access, Doppelganger is full of golden-era cocktail lounge charm. Think green walls and plenty of negronis, martinis and caipirinhas on the menu. Cerveceria Nacional is the antidote to the typical Spanish lager you’ll find here. Well stocked with 100 varieties of craft beer from 30 brands, this is where you want to go if you like your beers with a bit more punch. Want to see more of this incredible part of the world? Our unbelievable South America cruise packages bring everything you’ve just read to life. Alternatively, you can give our team of cruise experts a call on 0808 274 6777 to hear more about our latest deals.